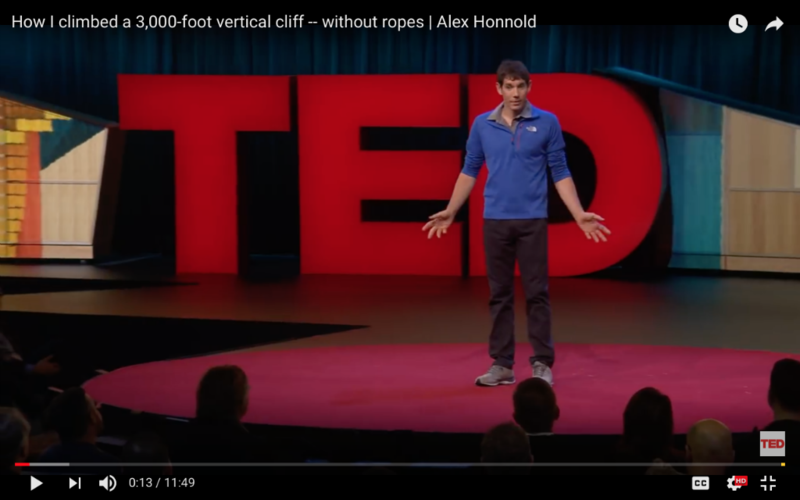 If you haven’t seen Alex Honnold’s Ted Talk, then I suggest you check it out. He concludes his talk by saying that climbing Half Dome was a big goal for him, but he didn’t get what he wanted from the experience: mastery. He was hesitant and afraid during part of the ascent. But, El Cap was different. It felt like mastery to him. Why? Mastery has a lot to do with putting in the time and work to prepare and learn. Visualizing was part of his preparation. I found his feeling-based visualizations interesting, especially as they related to diminishing doubt. 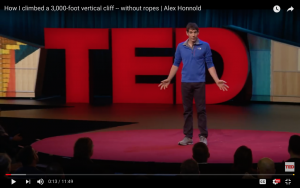 “Doubt,” as he says, “is the precursor to fear.” He had to feel like he was in the actual experience during his visualizations to minimize any possibility of doubt. Trusting himself had to be 100%. Any doubt would rob him of that trust.